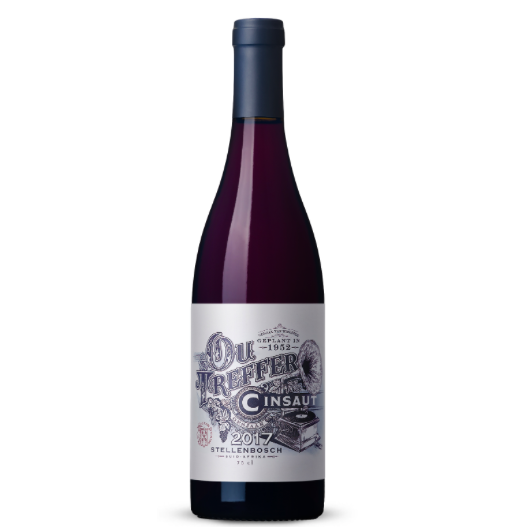 De Kleine Wijn Ou Treffer Cinsault 2017 - Publik Wine. De Kleine Wijn Koöp is a collaboration between Rohan Etsebeth and Jan Solms of Stellenbosch design studio Fanakalo, videographer turned wine partner Stephanus Rabie, viticultural wizard Rosa Kruger and biodynamic brain Johan Reyneke. The 2017 Ou Treffer is made using Stellenbosch fruit from low-yielding bush vines planted in 1952. Perfumed and complex, it’s a beautiful expression of this now in-vogue workhorse variety.